ConRes has been a Cisco partner for over 25 years and as one of only 200 Gold Partners globally, you can be sure you are in the right hands with ConRes. With over 50 years in business and branches nationwide and internationally, let us take care of your Cisco needs. You can rest-assured you have a local contact who has the technical certifications and expertise on the full spectrum of Cisco solutions. We advise, design, implement, and support initiatives in: Networking, Wireless and Mobility, Security, Collaboration, Data Center, Analytics, Video, Internet of Things, and anywhere Cisco solutions reside. ConRes has a unique Customer Solutions Demo Lab environment setup to test Cisco ACI and many more solutions and integrations, and it is one of the reasons weve been awarded Cisco’s Breakaway Partner of the Year award. ConRes has decades of experience with Managed Services, and all of our experts are trained on all the latest Cisco solution. Cisco HyperFlex delivers complete hyper-convergence. It combines the software-defined networking and computing power of Cisco UCS with the Cisco HyperFlex HX Data Platform, bringing increased operational efficiency and adaptability to more workloads in your data center. 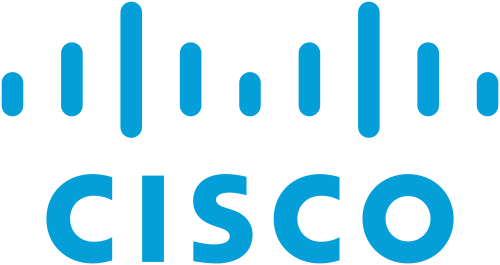 HyperFlex is a critical element of Cisco’s Intent-Based Data Center and the latest enhancements, such as Microsoft Hyper-V support and stretched clusters for scaling, improves upon an already innovative product. Cisco UCS is an analytics-powered and cloud-managed computing architecture that accelerates application deployment by combining computing, networking, and storage infrastructure to offer advanced application performance with proven security. Cisco UCS’s fabric-centric design implements a truly programmable system with open APIs to support the widest range of workloads and IT operating models and delivers a highly adaptive infrastructure for multi-cloud environments. Cisco products work together to deliver effective cyber security, incident response, and heightened IT productivity through automation. Our security innovations protect customers, employees, and brands by providing best of breed deeply integrated products and solutions. Simplify the complexity of network security, keep your business more secure, and make IT more productive with Cisco security services and solutions. Cyberattacks can evade even the best security tools. They can get by firewalls, threat management solutions, and intrusion prevention systems. Cisco can help you fight these threats. We have combined people, intelligence, analytics, and technology into a co-managed security service. You gain end-to-end security monitoring, threat detection, and incident response. Solutions like unified communications (UC) unlock powerful collaboration benefits for organizations. They also place higher demands on already overburdened IT staff. ConRes has developed an SDDC Framework, as an approach to creating holistic technology, process, automation and orchestration solutions for our customers.